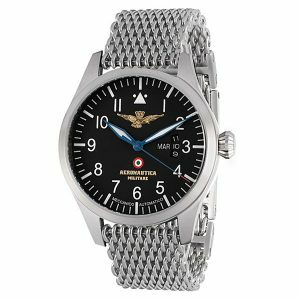 Case Back – in stainless steel and 700 Vickers mineral glass with Eagle logo, to allow movement sight. 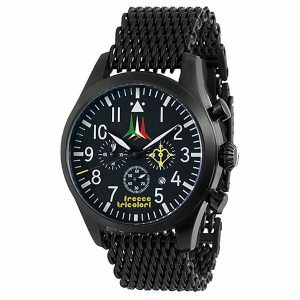 Dial – Matt black,matt blue, vintage with arabic numbers and high visibility indexes with super-luminova. 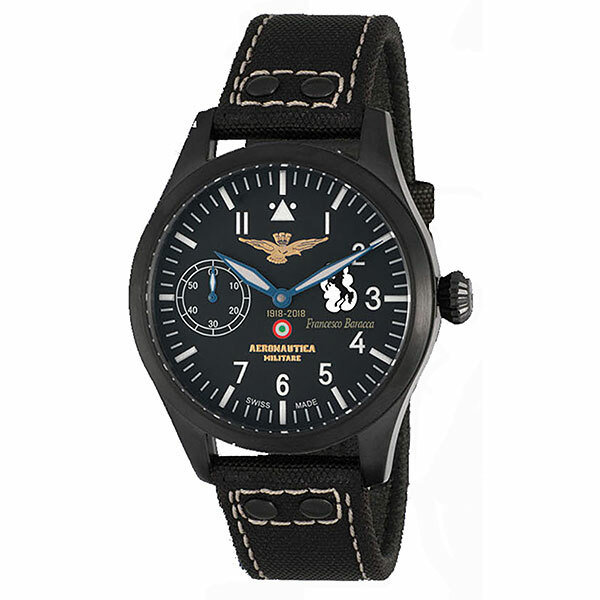 Double printing, with Aeronautica Militare Eagle logo in relief. 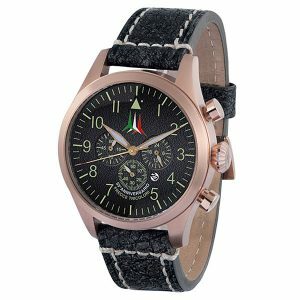 Movement – Manual charge ETA Unitas 6497.